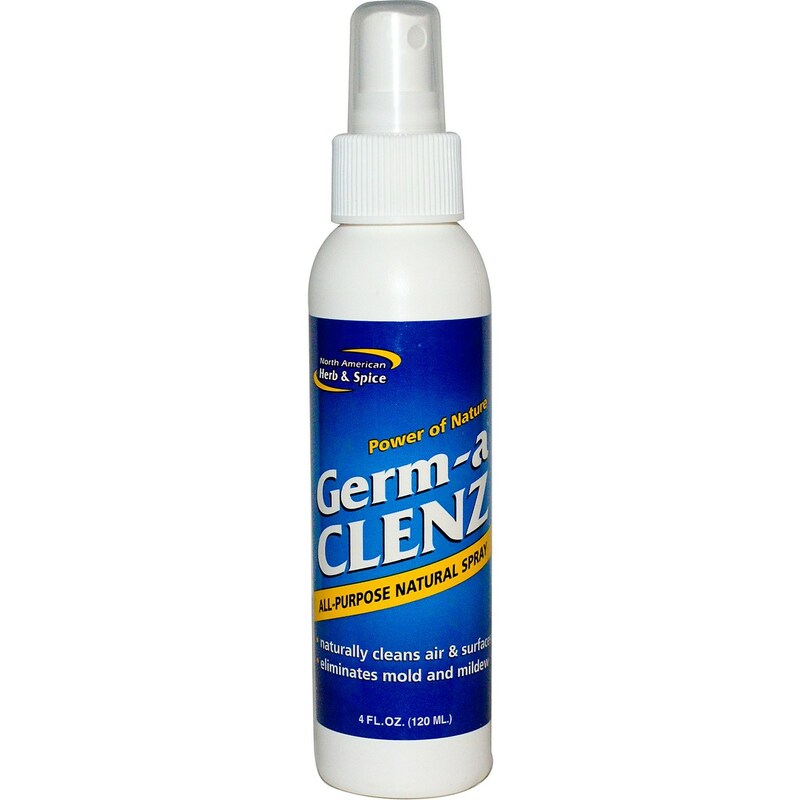 Germ-a-Clenz from North American Herb and Spice can be used on countertops, bed sheets, mold- infested basements, furnace filters, air conditioners and anywhere else that needs purifying. Great for cleansing fruits and vegetables. Warnings: Do not spray directly into eyes. Ingredients: Natural carvacrol phenol, Thymol phnol, Cuminaldehyde phenol and natural wild spice essence. Recommended Use: Safe to spray on food or in mouth. use to clean and protect fruits and vegetables. use on skin as an antiseptic. Also ideal for pets. Do not spray directly in eyes. The customer reviews posted below are based on individual consumer experiences and may NOT necessarily represent what expected results will be from using or taking North American Herb And Spice Germ-A-Clenz Spray - 2 fl oz. These results may not be typical and you should not necessarily expect to receive the same results. Actual results may vary.